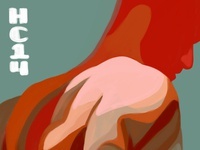 I just kicked your mom in the teeth! 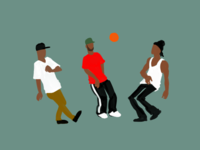 Streetball — A bit of Streetball outside a cafe in Oakland. 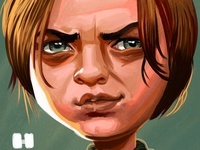 Arya Stark — Another in my never ending series of game of thrones portraits. 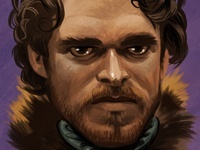 Robb Stark — Another in my Game of Thrones series of stylized portraits. 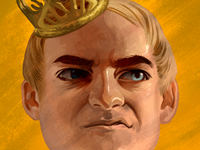 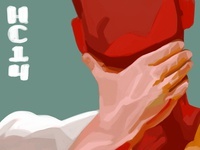 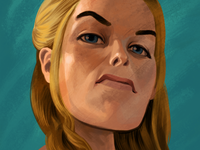 Joffrey Baratheon — Another in my series of Game of Thrones illustrations. 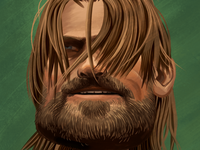 Jamie Lannister — Another in a series of Game of Thrones portraits. 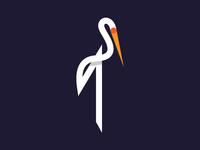 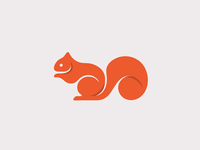 Squirrel — I attempted to bring your squirrel design closer to your fox design. 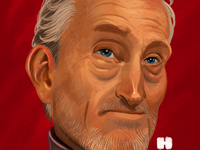 Tywin Lannister — Another in my series of stylized Game of Thrones portraits. 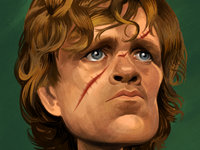 Tyrion Lannister — The first in my series of Game of Thrones portraits.